The historic county of Surrey lies to the south of London and has been shaped by historic occupations and strategic battles throughout the ages. The county offers over 40 museums so its rich past can be fully explored. Surrey is the ideal location for a rural away day retreat as it is one of the greenest and most wooded counties in England. Our Bushcraft event is the perfect team build if you want to lose yourselves in beautiful countryside or perhaps your team would prefer an adrenaline filled Multi Activity Day? The county town is Kingston-upon-Thames and this picturesque market town lends itself well to one of our interactive treasure hunts. Our free venue finding service is on hand should you want to stay overnight after your evening event or as part of a two day conference. Just give our sales team a call on 0845 006 06 06 and discuss your brief today! Inspired by the Neo-Gothic design of the Palace of Westminster, this unique Victorian mansion house is the perfect location for a team building day in Surrey. Dating back to 1872, the hotel boasts 60 bedrooms and nine meeting rooms, some with original features. 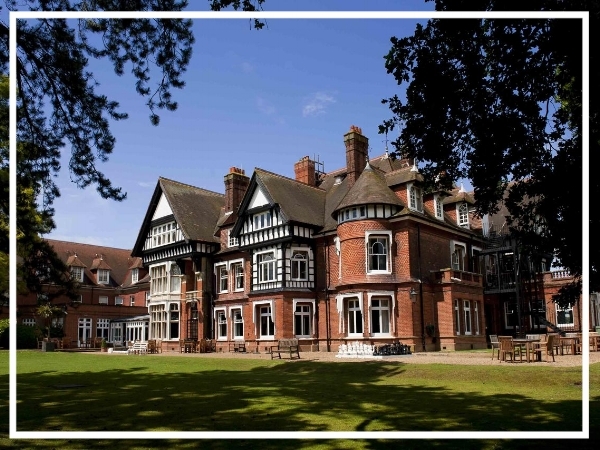 Built in 1885, this magnificent Victorian hotel is a great choice for your next team building event in Surrey. Featuring 57 bedrooms and nine function rooms, the hotel has a variety of dining options including fine dining in The Oak Room and modern dining in Benson’s Brasserie. A small and intimate venue, De Vere Gorse Hill is an elegant country mansion set in the heart of Surrey. It benefits from 18 fully equipped, high-tech meeting rooms and 50 bedrooms as well as a bar, restaurant and free wi-fi throughout.